peanut butter – I use 100% natural peanut butter with no oil added, no sweetener added made with 100% peanuts. sugar free powdered sweetener: powdered erythritol or monk fruit both work well with the same ratio. Use the one you prefer. Both have no carbs, they are sugar free and keto friendly. coconut flour – please don’t replace by almond flour or anything else. You will need a very different amount and the texture won’t be the same. I am very struggling to order my favorite sugar free chocolate bars from USA right now. All the website who deliver in New Zealand are out of stock. 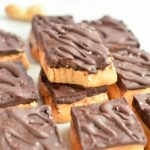 That is ok, I can make my own sugar free chocolate layer using a combo of simple ingredients we all have in our pantry on a keto low carb diet. 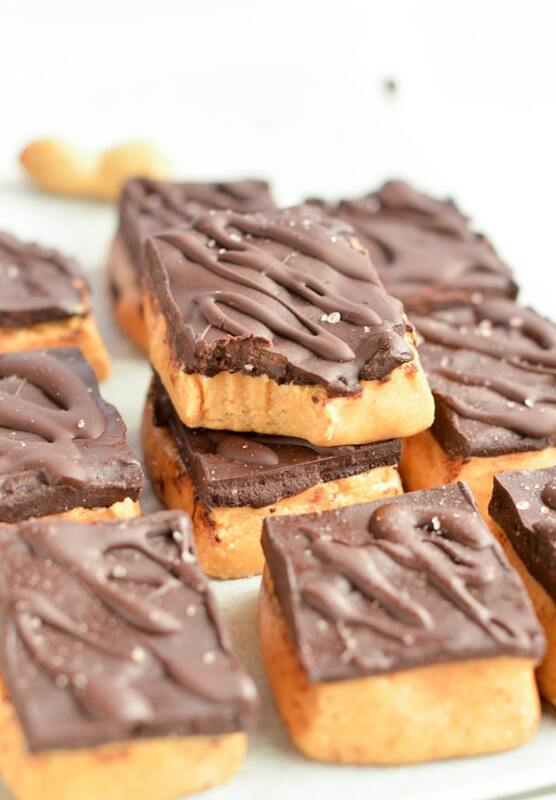 So here we are, we just made no bake peanut butter bars healthy, sugar free, gluten free and vegan. I really think I am gonna serve those on Easter day. My mum will be home, she is type 2 diabetic and she will love a sugar free treat. I hope you guys enjoy this recipe too. As always, share a pic with me on Instagram if you try those. I will love to see your creation. 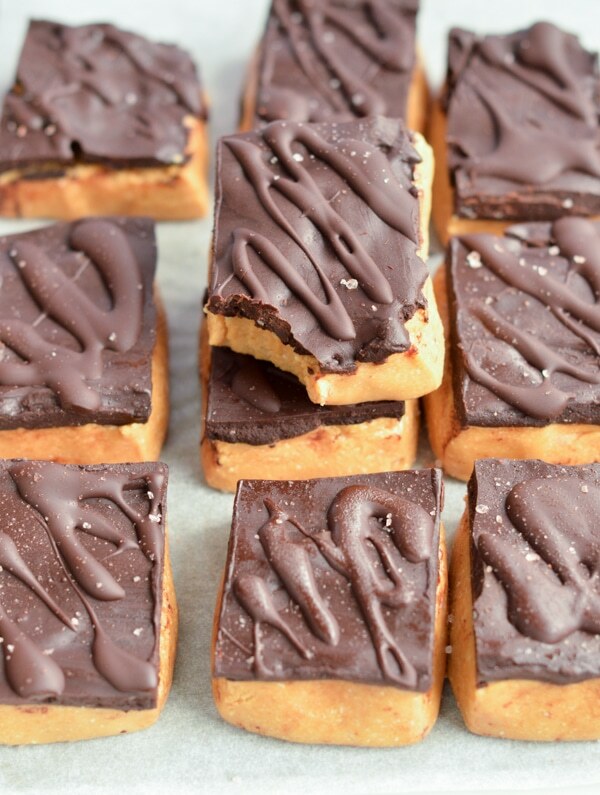 Watch the no bake peanut butters bars recipe video and make them now ! In a medium mixing bowl, add peanut butter, coconut flour and powdered sugar free sweetener of your choice. Combine with a spatula, then knead with your hand to form a consistent peanut butter dough. 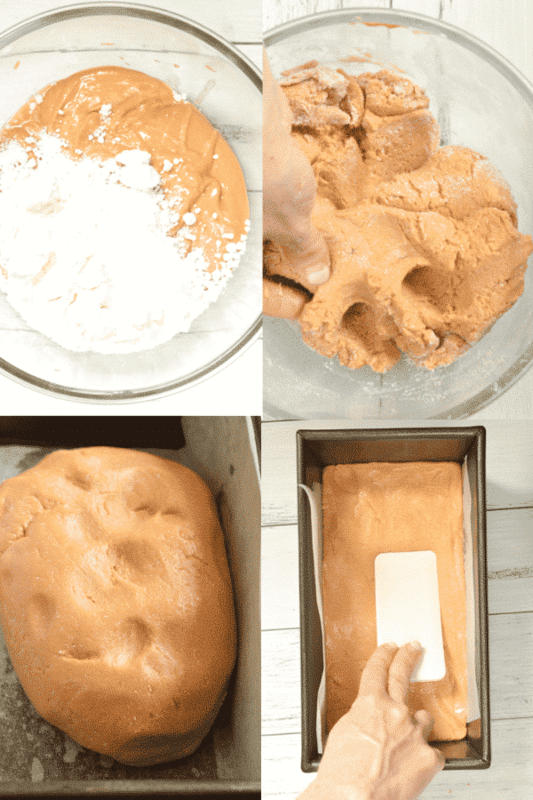 Transfer the peanut butter dough into a rectangle loaf baking pan covered with a piece of parchment paper. I used a cake loaf pan size: 9 inches x 5 inches X 1.8 inches. Press the dough to cover the bottom of the pan evenly. Use a spatula to smooth the top. 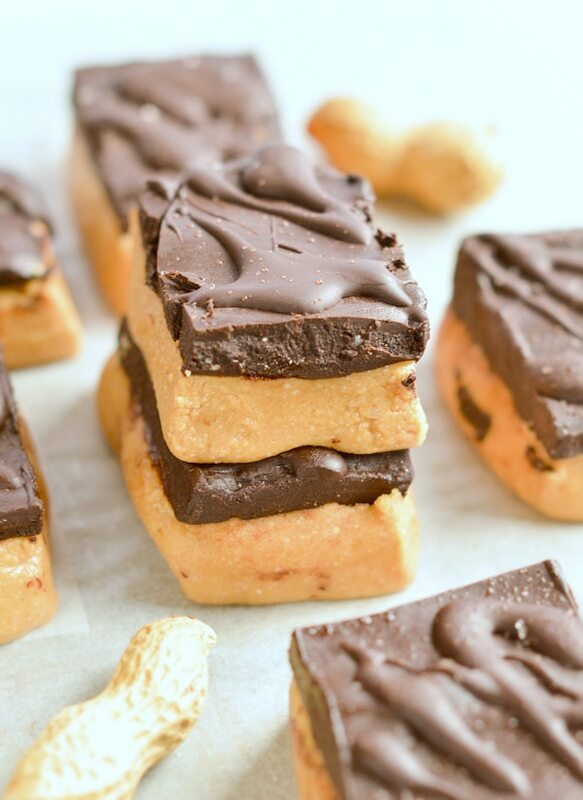 Bring the pan in the freezer while you prepare the chocolate peanut butter layer. In a small mixing bowl add peanut butter and coconut oil. Microwave 30 seconds, or bring on the stove for 1 minute under low heat, stirring constantly to combine both ingredients. Stir in powdered sugar free sweetener and unsweetened cocoa powder. Make sure you stir the mixture fast to avoid any lumps or otherwise gradually add the powdered ingredients stirring after each addition. Remove the loaf pan from the freezer. Spread the chocolate layer on top of the peanut butter layer. It should set really fast as your base is very cold. Spread evenly using a spatula. Freeze 30 minutes before slicing into 12 slices. Warm the knife blade under heat before cutting, it avoid the chocolate layer to break. Those bars are soft and must be store in an airtight container in the fridge. 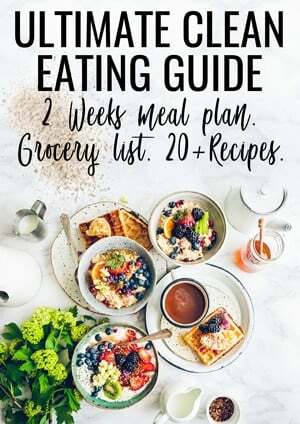 Can store up to 4 weeks or freeze and eat frozen or defrost 30 minutes-1 hour before eating.